2000+ fleets with more than 1,000,000 professional drivers. Maps stored on the device. Routes with multiple waypoints, and predefined time windows. 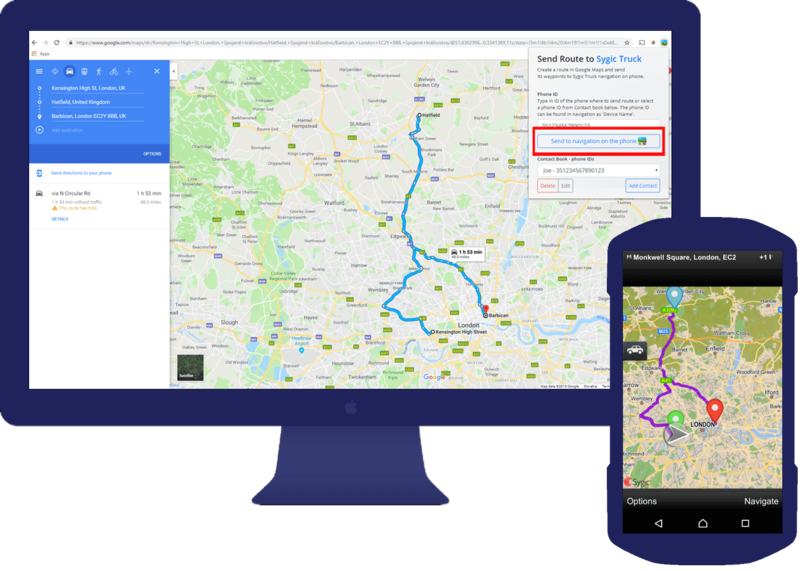 Help drivers to drive the same routes as planned in the office and improve your cost planning. Vehicle attributes (dimensions, weight, HAZMATs) can be set up remotely over-the-air by dispatchers through “ChangeApplicationOption” API. 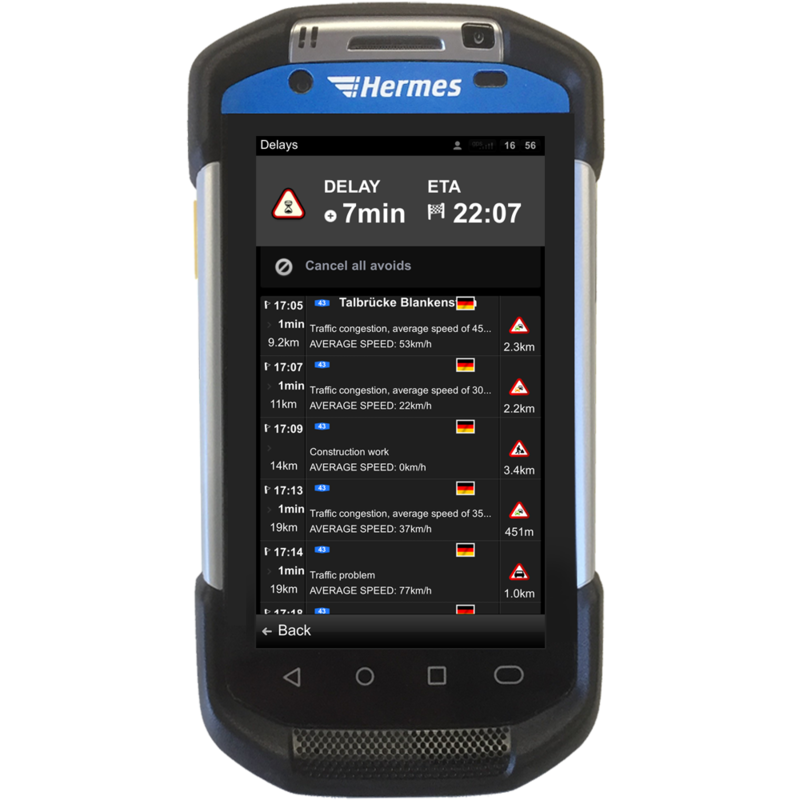 Total drivers has navigation menu customized in order to add or fix hazmat and other road restrictions directly from the navigation. In the navigation menu they have the option to mark the roads which are closed or problematic. These changes are then distributed to all other Total devices, and the navigation takes this into account when computing the route resulting in increased quality of routing for the whole fleet. Integrated with fleet management solution, Sygic Professional Navigation makes it possible to send information about ETA (using GetRouteStatus) to the dispatcher in real time. If needed, dispatcher can inform the driver about process changes using Text-To-Speech engine of the Sygic navigation. In this way, we carry out between 20 - 35 customer stops per tour. Approximately 1,600 tours are thus carried out daily with the support of Sygic within Germany, Holland, Austria and Switzerland. Sygic is very fast responding business partner and our wishes were implemented accordingly. It is possible to send optimized itineraries to the driver in 2 ways. Sygic Guided routes feature offers the possibility to import entire routes from your planning tool into Sygic Professional Navigation. The navigation suppresses its own routing algorithm and rather accepts the directions provided by the planning tool. This way driver follows the route exactly as planned. The second option is to send optimizes sequence of waypoints (AddItinerary) and let the Sygic routing engine (using vehicle parameters) to transform this plan into a route. Sygic Professional Navigation can be equipped with special routing allowing vehicles with special permission to enter pedestrian zones and roads closed to regular vehicles and get to the incident faster. 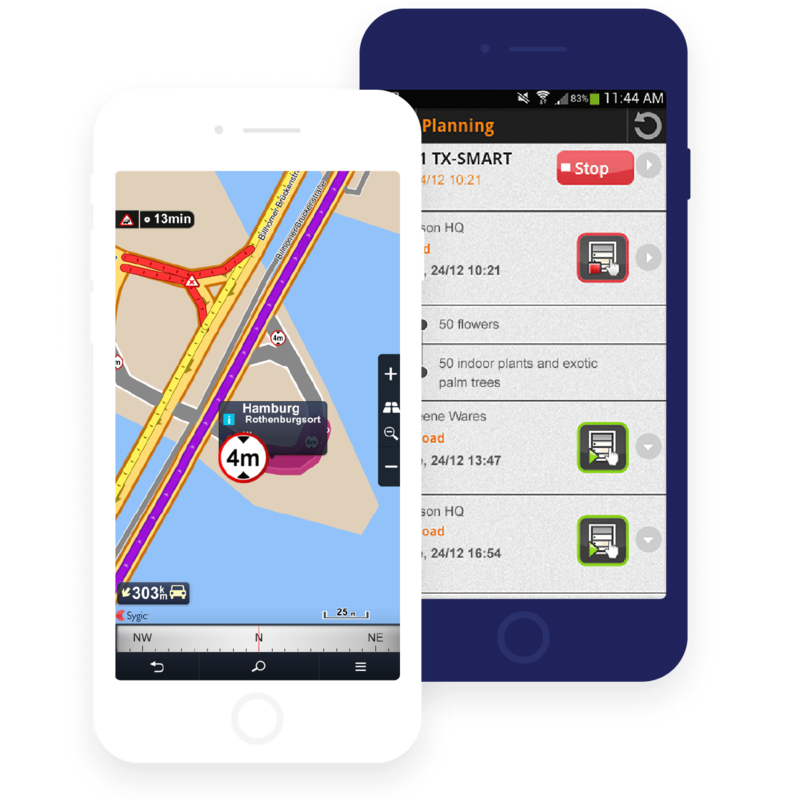 Sygic is embedded within the Point X’s RescueNavigator app and can be displayed in the phase of approaching the destination in either sole or in the split view with other map and navigation sources (cartographic map, satellite view, street view, etc.). Bigger projects may require functionality that is not part of the standard Sygic Professional Navigation package. In this case Sygic provides professional technical support to developers and software vendors for integration and on-demand customization requirements. customized map content to avoid parkways.